There are several factors to take into consideration during a tow. Safety should come before anything else. If you choose to do it yourself, be sure to perform each step provided in the instructions in the order shown. It doesn’t matter which Vehicle Towing System you’re using to tow your vehicle, you need to check it carefully after it has been hooked up. In order to check the Vehicle Towing System after hooking up, tow about 100 feet, then stop and perform a safety check. You should check the tire straps, bolts, chains, coupler hand wheel, ramps and other items to make sure they are in the right position and secure. In addition, check all tail lights and stop lights to make sure they are operating properly. Make sure to repeat the safety check after the first 5 miles and every additional 50 miles after. Once you’ve performed a safety check to hook up the vehicle, it’s time to get to work. ● Fully Engage Parking Brake on Truck – Car Carrier must be completely and properly hooked up to truck and on a level surface before loading towed vehicle. Secure hitch to the 2”, 6000 lb. rated hitch ball on truck. The hitch and hitch ball must be securely attached to the truck. You will then want to tighten coupler hand wheel, crisscross safety chains under tongue, and safely secure chain mounting loops on the truck. Secure emergency brake actuator cable to safety chain mounting loop on truck. Make sure to hook up the light wires to the quick connector box on truck. ● Remove Safety Pin – Remove safety pin and unroll straps by grasping ratchet handle pawl and ratchet handle at the same time and push down. Unroll strap and lay along fender side of platform. Release enough slack in strap and lay it to the outside of Carrier so it is out of the way when loading towed vehicle. Do the same on the other side. Important: Vehicles to be towed must not be wider than 79” and the inside tire width not less than 42”.Width should be measured from outside of tire to outside. ● Unlatch Each Ramp and Slide All the Way Out Until it Stops – With someone safely guiding you, slowly drive towed vehicle onto Auto Transport Carrier front forward. (Any vehicle mounted on Auto Transport Carrier must be mounted with front of the vehicle facing forward.) Drive towed vehicle onto Auto Transport Carrier until tires touch wheel stops at front of each side of Auto Transport Carrier. Place towed vehicle in park or in gear, and set parking brake. Lock steering wheel on towed vehicle with front tires in a straight position. ● Securing the Tires – Center tie-down winches in front of tires on towed vehicle and place straps over tires. Place one tie-down strap over each front tire on towed vehicle and secure.Tighten each tie-down strap securely with ratchet handle on winch. Insert safety pin in each winch and attach clip. Ratchet handle should always be in the down position when towing Auto Transport Carrier loaded or unloaded. ● Attaching the Chains – Hook towed vehicle safety chains to frame of towed vehicle directly above area where chain is mounted on Auto Transport Carrier. Leave some slack in the chain to allow suspension movement. The chains must not attach to or go over steering or brake parts. ● Disconnect Driver’s Shaft – You must disconnect drive shaft at rear axle and remove it. With the drive shaft removed it will be necessary to cap the transmission tail shaft to prevent transmission fluid loss. Rear engine/ transaxle vehicles cannot be towed with Tow Dolly. (All vehicles loaded on Tow Dolly must be loaded with front of vehicle facing forward.) Always consult your vehicle owner’s manual to help determine if and how your vehicle is suitable to be towed. ● Release Parking Brake on Towed Vehicle – Ensure that the steering wheel is locked in a straightforward position. If the towed vehicle does not have a locking steering column, the steering wheel must be securely tied. Remove ignition keys and lock doors of towed vehicle. Release parking brake on towing vehicle and drive forward 100 feet. Stop and perform safety check. ● Unload Towed Vehicle – Ensure towing vehicle and Tow Dolly are straight, on level ground, and properly hooked up before unloading the towed vehicle. Release parking brake of towed vehicle and slowly back towed vehicle off Tow Dolly. Do not exceed 45 mph or any lower posted speed limit. Braking distance increases when using an Auto Transport Carrier. Use caution and always allow sufficient distance for braking. Make sure you avoid sudden stops whenever possible. Use brakes with caution to prevent damage to your towed vehicle. Towing your own vehicle can be a very complex process. You always have to ensure your safety and the safety of others around you as well. 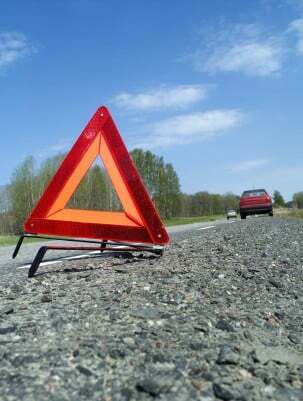 At FW Towing, we specialize in all types of towing and emergency roadside assistance services. We operate 24 hours a day, and cover the entire Dallas Fort Worth areas. 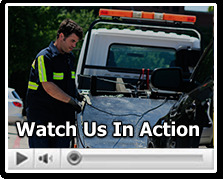 We have a fantastic and reliable towing crew that will be by your side day or night. With FW Towing, you’re always receiving the best quality services, at the most competitive prices in the market. Don’t take any chances on the road, give us a call today!